We appreciate your prayers as we travel reporting to our supporting churches and visiting new ones. The Lord has kept us safe as we have been in Texas, Indiana, Georgia, North and South Carolina since our last letter. We have several goals for our furlough time. Above all we pray that the Lord will use us for His honor and glory and that we will be a blessing in each church we visit. We pray that the Lord would call more missionaries to Honduras. Also, we are happy to get to see our family and friends again. We need to raise more support so as we report to our supporting churches we also pray that each one would increase our monthly support. If you are able to do that we would appreciate it very much. 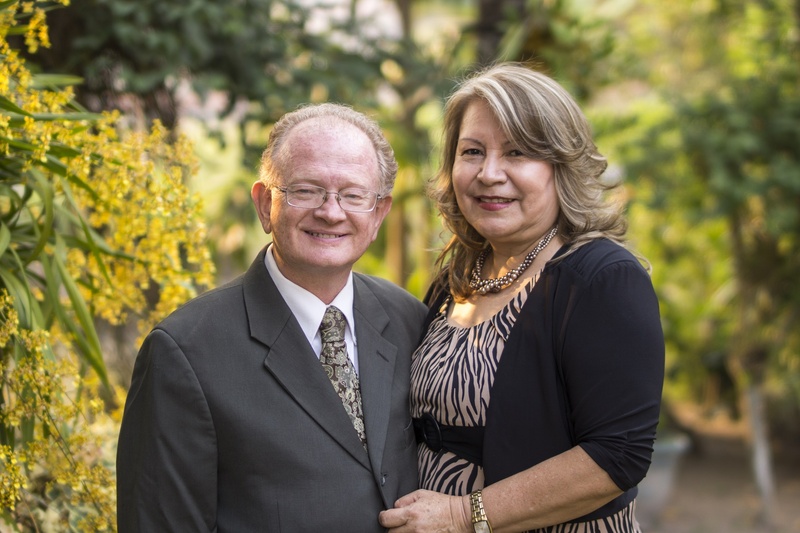 We count it a privilege to be your missionaries to Honduras. As we visit new churches, we pray that they would begin supporting us. We praise the Lord for those who have already increased our support and the churches that have started to support us financially. We ask every church we visit to back us with your prayers. Your prayers for us and the ministry are immensely important. Reports from Honduras are good. Alba’s Father recently celebrated his 90th birthday! We praise the Lord for his health. The first week of October my Dad taught our annual Men’s Conference with men from three churches. It is very important to reach and train men in the churches. Also, our son Halbert organized a seminar for those wanting to be counselors at our upcoming Youth Camp. We praise the Lord that Countryside Baptist Church of Mansfield, Texas has sent $1,000.00 for Youth Camp. We praise the Lord that so far $1460.00 has come in for the vehicle to take back to Honduras and use on furlough. It is a Nissan Rogue. The bank that loaned us the money and has in the past explained that laws have changed and now when we take it out of the country it becomes an unsecured loan and the interest rate will increase. Please pray with us that the Lord will provide the funds to pay it off and to pay the shipping and to pay the Honduran import taxes by March. We are asking sixty churches to make one payment of $460.00 between now and February. If the Lord leads you to make a payment, please send it to the IBFI Mission Office and designate it as car payment. We are looking forward to seeing all of you as we travel. If you are not receiving our emails, please let us know at lesliepriday@gmail.com. We are trying to change to email only newsletters. If you prefer us to mail you a paper copy, please let us know. You may call by telephone to 817-341-9158. Thank you again for partnering with us to take the Hope of the Gospel of Christ to Honduras. We wish each of you a blessed Thanksgiving and a wonderful Christmas celebrating the birth of our dear Savior. We are spending Thanksgiving with friends in Charleston, South Carolina and Christmas with our family in Oregon. May God bless you greatly.